This Quantum Mind Website offers strategies for stress relief, harmony, and – most importantly – a clearer connection to the healing power available through THE QUANTUM MIND itself. THE QUANTUM MIND – a name coming from both ancient and modern knowledge – can actually help us use our individual minds to develop this Healing Connection. There are many ways to consciously invite this all-knowing, ever-present help. We’re not necessarily advocating sizeable changes here because size has little to do with significance! As a matter of fact, a quantum leap is the very smallest movement of the smallest measurable packet of energy in a specific direction. It is the direction that becomes important. Each person intuitively knows how clearer mental, physical, emotional and/or spiritual connections might serve their highest and best needs. We invite you to decide why you are visiting the Quantum Mind Website by checking the boxes in front of the benefit(s) that might serve you. Quantum Mind is NOT a quick fix or a procedure that is "performed" on you. It is driven by you and the results are determined by you. Quantum Mind facilitates the conscious practice of accessing the potential within. The experience that Quantum Mind offers translates into a life lived in mastery – beyond the limits of your past experience. Quantum Mind has the resiliency to address your specific preferences and intentions whether your approach to life is mental, spiritual, physical or even scientific. Quantum Mind helps solve problems, big or small, and increases resiliency to stress. Quantum Mind does not require the purchase of large pieces of equipment labeled, "Some assembly required." 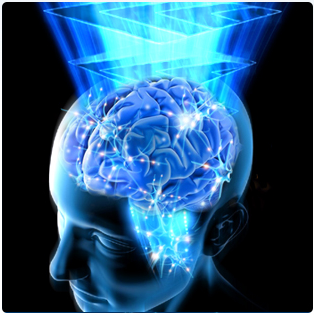 Quantum Mind will not drive you out of your mind by barraging you with countless e-mails!